Ekeko is in mythology and folklore of Peru, Bolivia and northern Argentina, the god of abundance. 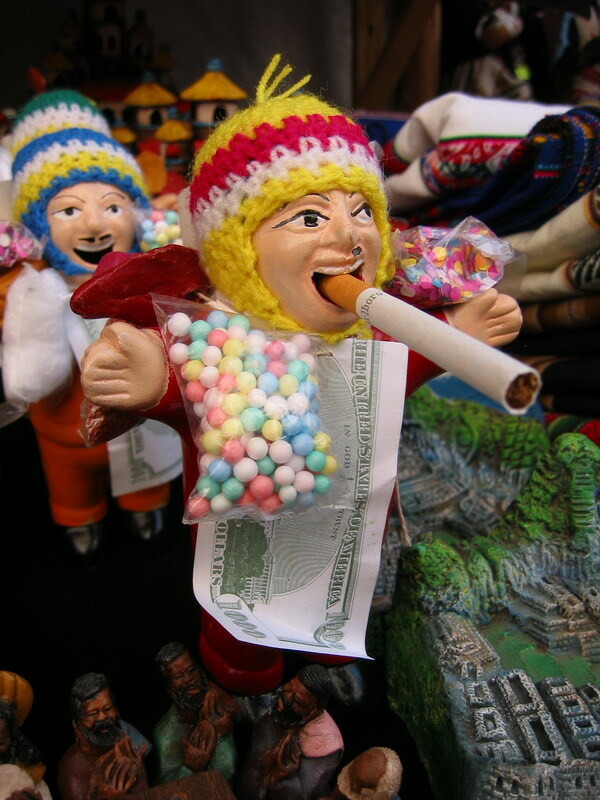 This little Ekeko dolls are often adorned with little bag of grains, food, household items, even U.S. dollar – whatever is desired. The cigarette is for HIS pleasure. You cannot buy a Ekeko for yourself though, it must be a gift for it to work.